Happy Chinese New Year, everyone! Also known as Lunar New Year or Spring Festival, this annual celebration is a weeks-long Chinese festival that marks the beginning of a new year on a traditional Chinese calendar and ushers in the spring season. Although Chinese New Year starts on a different day each year, in 2019 it kicks off on Tuesday, February 5. Historically, this special day is a ceremonial day to pray to Chinese gods for good luck in the planting and harvest seasons ahead, as well as a day to burn fake paper money and gold bars to honor dead loved ones and attract good fortune. Everything is decorated in red, and giant fireworks displays are arranged; it’s truly a fascinating and festive spectacle rich in tradition and history! As part of the Chinese zodiac system, each new year is associated with one of 12 animal symbols: Rat, Ox, Tiger, Rabbit, Dragon, Snake, Horse, Goat, Monkey, Rooster, Dog and Pig. These symbols are based on the year in which you were born, and it is believed that the animal ruling your birth year has a deep impact on your personality and destiny. The Pig is the 12th and final symbol in the Chinese zodiac system, and 2019 is the Year of the Pig! (Fun fact: In the last century, Years of the Pig fell in 1923, 1935, 1947, 1959, 1971, 1983, 1995 and 2007). The pig symbol has long been associated with fun, good fortune and wealth, and people born under the Year of the Pig are said to be compassionate, generous, focused and responsible. 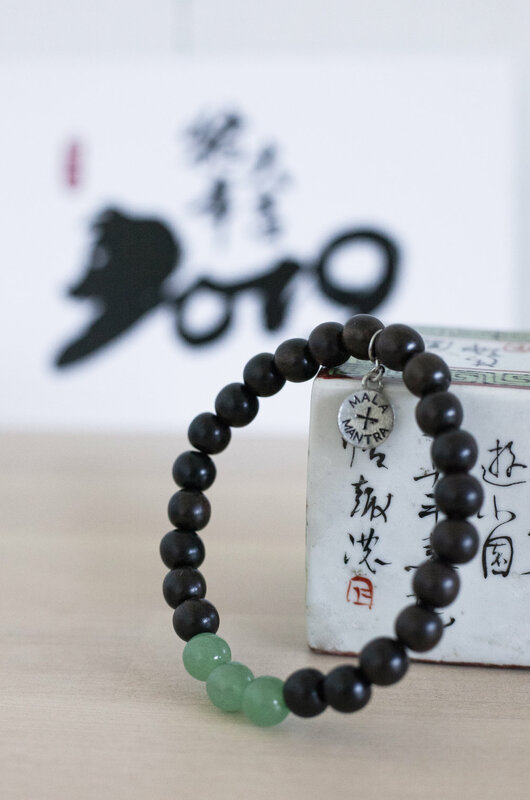 With all of this in mind and to celebrate the Year of the Pig, we created a mini Year of the Pig capsule collection filled with bracelets designed to bring you abundance in the year ahead! This trio of styles is handcrafted using sustainable robles wood beads and all-natural, semi-precious green aventurine gemstones. Green aventurine is believed to be one of the luckiest gemstones in existence, and is known to attract abundance, prosperity and good fortune. 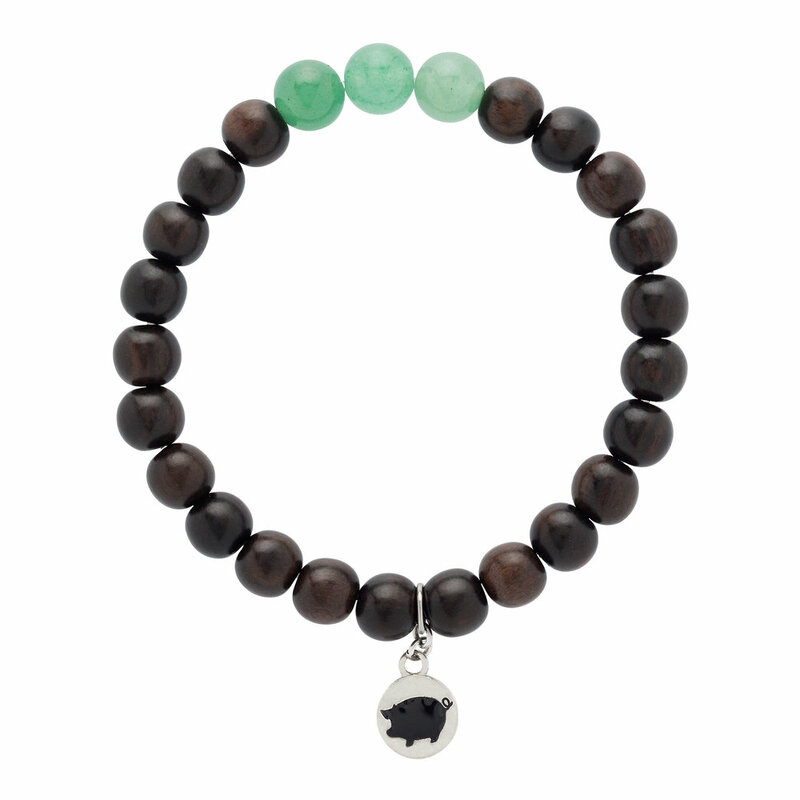 The bracelets also include an embossed pig charm, in the hopes that it brings you good luck, compassion and a sense of generosity all year long! Check out the three styles below, and head over to our Year of the Pig page to shop them for yourself and all of your loved ones who need good luck and abundance in 2019. But hurry, this collection is very limited, so shop before it sells out! 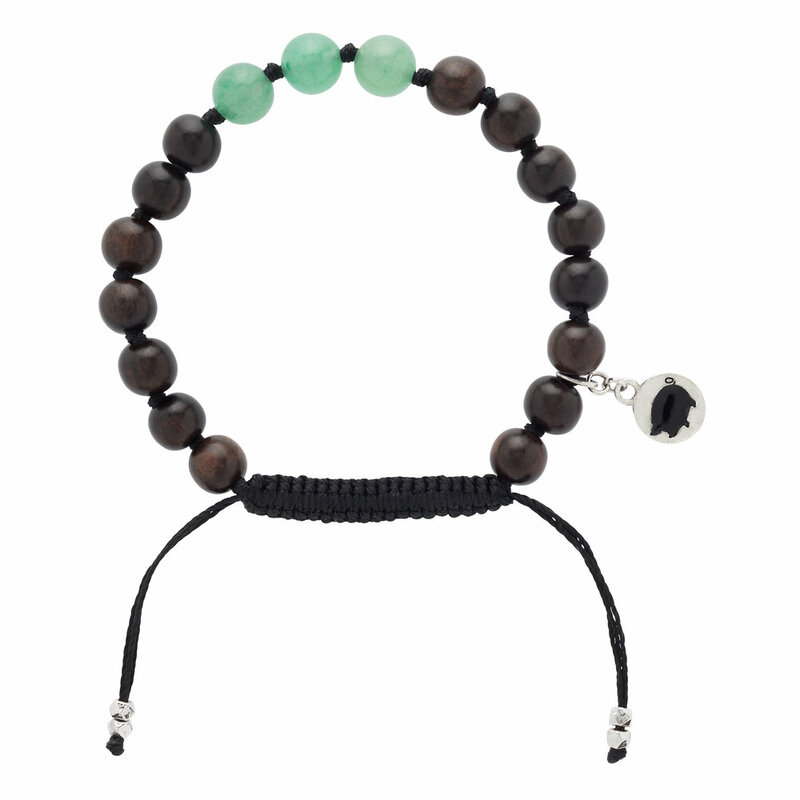 Featuring sustainable robles wood beads + a trio of green aventurine gemstones, all hand-strung on an elastic band for easy on-and-off styling. Featuring all-natural, semi-precious green aventurine gemstones, a dangling pig charm and a macrame slide closure. Featuring sustainable robles wood beads + a trio of green aventurine gemstones, plus a macrame slide closure for easily adjustable sizing.